Like us, children can have a hard time switching off and settling in to sleep right away. A routine can guide them through the stages of relaxing and result in an improved quality of sleep, as well as creating a shared experience that you’ll both look forward to each day. The trick to creating a successful routine is to change the emphasis from sleep to relaxation. Decide on the activities of your ritual together. Perhaps you will read a book, listen to part of a story together, or spend some time talking about the following day. Actively involving your child in this process will give them more ownership and help to emphasis the importance of sleep to them. Before beginning the routine, consider the setting. The design of the bedroom is important, with an emphasis on the clean and clear, minimising distraction to enable a focus on the important task at hand, sleep. For children’s rooms, this means a superior storage design, so that the activities and toys can be easily shelved and stowed. For older children, make clearing the decks the first step of their routine, literally putting away the day and signaling that they are ready for the next phase. Pay attention to what they’re wearing. Comfortable clothes are key to good sleep. Natural fibres will help them to keep at a comfortable temperature as they snooze. It helps if they are in clothes they enjoy wearing and feel positive about. In sleepwear styles we’re seeing cosy shades, monochrome and an emphasis on gender-neural shades, like grey marble and yellow. Bedding is used to further lure sleep. The use of natural textures and fibres creates a welcoming environment. A selection of blankets and quilts means that the bedding can be adjusted for temperature. Cushions and pillows aren’t just for decoration. Pay attention to how your child likes to sleep. Whether you have a front sleeper, a side sleeper or a back sleeper, you’ll be able to find a supportive pillow to match their needs. Sleep enhancement and sleep quality are under the spotlight. Traditionally monitors have let parents know when their child needs attention, by transmitting their cries. Now, smart monitors are disrupting this idea, giving parents valuable insight into how their children are spending the nights. 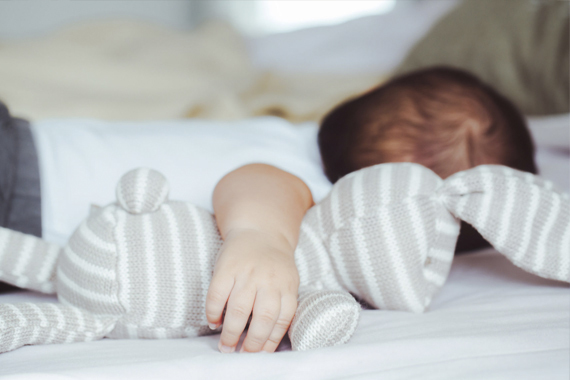 Sleep efficiency is calculated by looking at how long your child spends in bed, versus the amount of time that they spend sleeping. 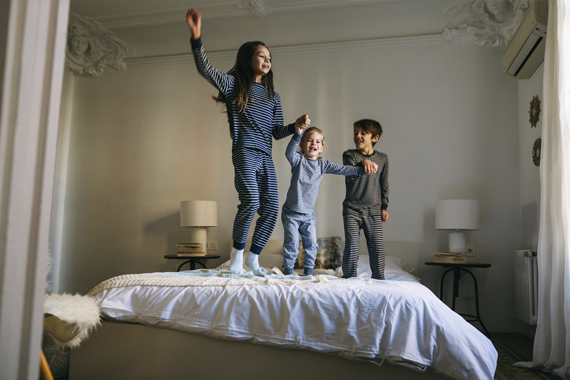 Finally, lighting plays a key role in creating the perfect bedtime environment. Low, relaxing lighting lets you set the scene, bathing the bedroom in soft tones. Younger children, or those who have nerves about the dark, will also appreciate the soft glow of an adjustable night light.